The Street Light: Ummm... Isn't that a Replicator? THE industrial revolution of the late 18th century made possible the mass production of goods, thereby creating economies of scale which changed the economy—and society—in ways that nobody could have imagined at the time. Now a new manufacturing technology has emerged which does the opposite. Three-dimensional printing makes it as cheap to create single items as it is to produce thousands and thus undermines economies of scale. It may have as profound an impact on the world as the coming of the factory did. It works like this. First you call up a blueprint on your computer screen and tinker with its shape and colour where necessary. Then you press print. A machine nearby whirrs into life and builds up the object gradually, either by depositing material from a nozzle, or by selectively solidifying a thin layer of plastic or metal dust using tiny drops of glue or a tightly focused beam. Products are thus built up by progressively adding material, one layer at a time: hence the technology’s other name, additive manufacturing. 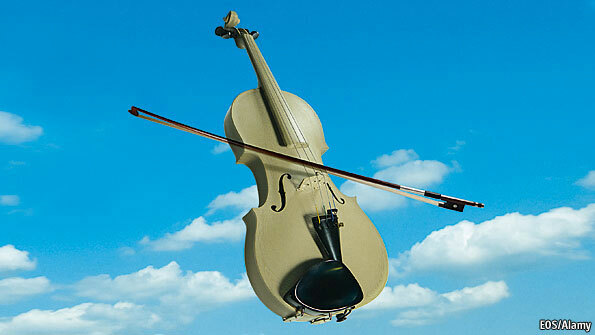 Eventually the object in question — a spare part for your car, a lampshade, a violin — pops out. The beauty of the technology is that it does not need to happen in a factory. Small items can be made by a machine like a desktop printer, in the corner of an office, a shop or even a house; big items—bicycle frames, panels for cars, aircraft parts—need a larger machine, and a bit more space. Wait... really? Are you telling me that one of the most incredible, futuristic, magical technologies available on Star Trek - the replicator in every room that could make whatever object the user asked for - is starting to become a reality? May become an actual, working technology in my lifetime? I'm stunned. Obviously there's a long way to go in the technology before we'll be able to just walk over to the machine in the corner of the room and say "tea, Earl Gray, hot," but given the pace of technological change over the past couple of decades, I wouldn't be surprised if we get there a lot sooner than I could have possibly imagined when I first started watching Jean Luc Picard on board the Enterprise.